Good news! I finally have a camera again! They were not able to fix my camera but they did send me a gift card to replace it. I had a Sony 380 and now I have a Sony 57, I have only had it for two days but I love it already. If you don’t already own a DSLR camera I would highly suggest adding one to your Christmas list, it will change your life in photos. 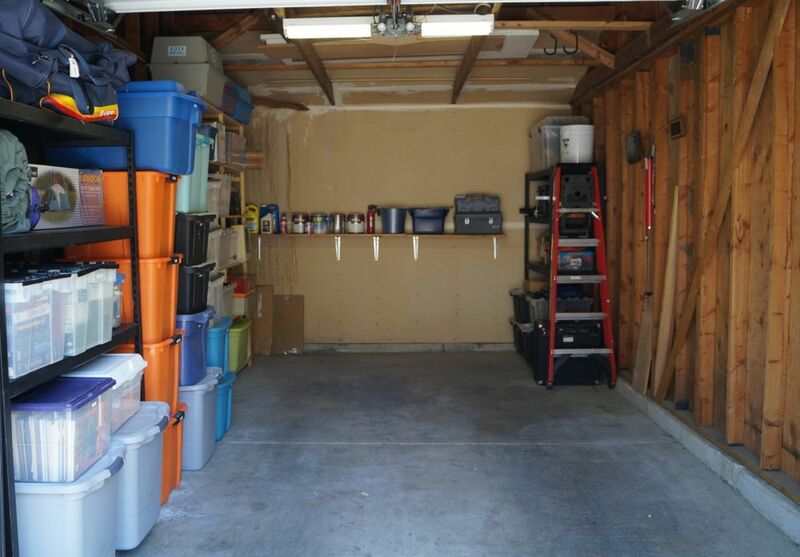 Last week Matt and I tackled two large garage organizing projects and today I wanted to share the before and afters from one of them. 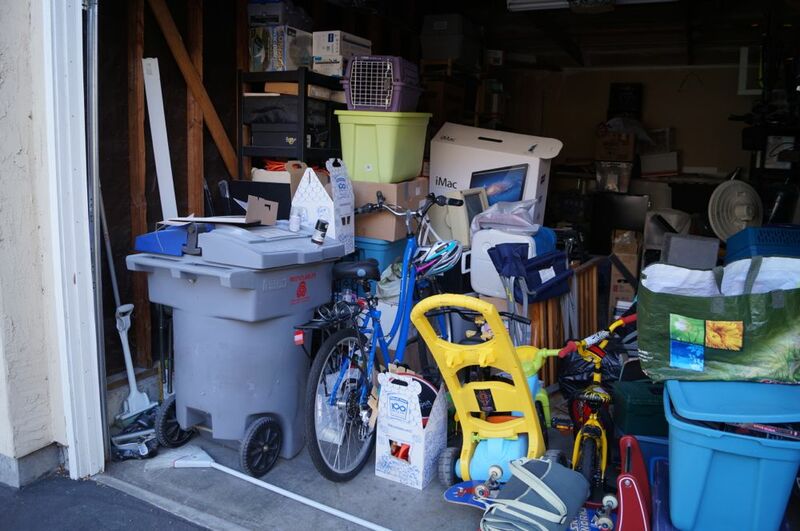 Messy garages are always puzzling to me. Mostly because people fill them with junk instead of taking advantage of their valuable square footage for storage and protection for their cars. Here is a little background on today’s photos. My clients are a busy couple with two small children. 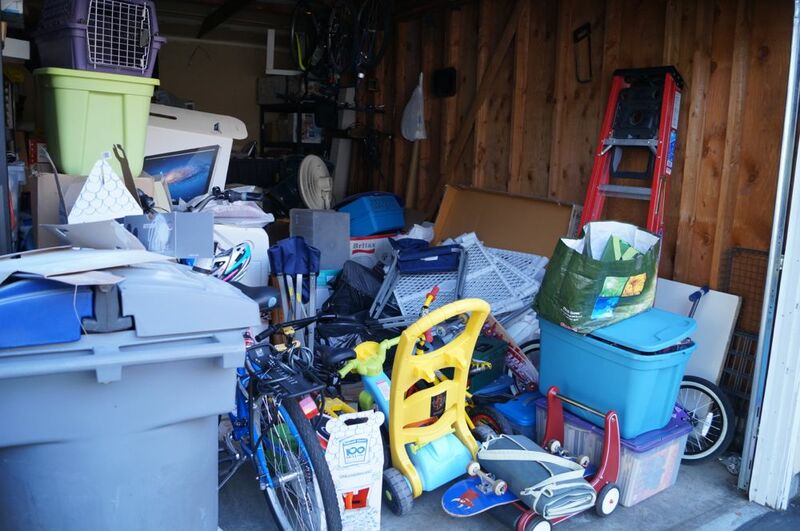 They moved into their current home when their oldest was born 7 years ago and never had the chance to unpack and organize the garage. The lack of structure and organizing system made it easy for them to let the space become cluttered. This is the 4th project we have worked on together. I have already organized their living room, home office, and master bedroom. Matt and I arrived at 9am and set up our work tables and began pulling everything out and separating it into piles of “like” categories. By putting like items together it quantifies the items and makes it easier for clients to make decisions. These clients had lots of books, electronics, cds and tapes, comics and collectibles, home repair items, and kids stuff. 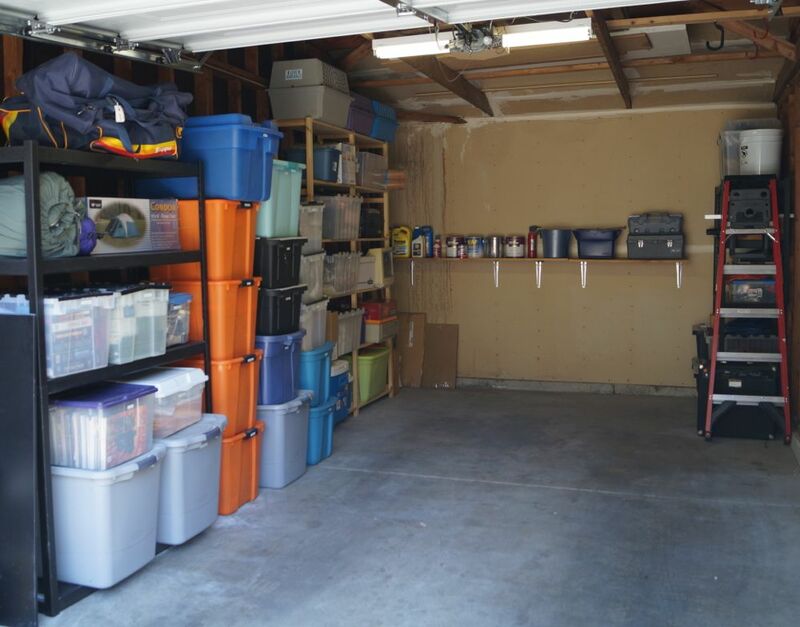 I helped coach my clients on what to keep and what to part with and began to set up an organized system for storing the items they wanted to hold on to. The system I set up for them has all of the household repair items on the left side of the garage and along the back wall. 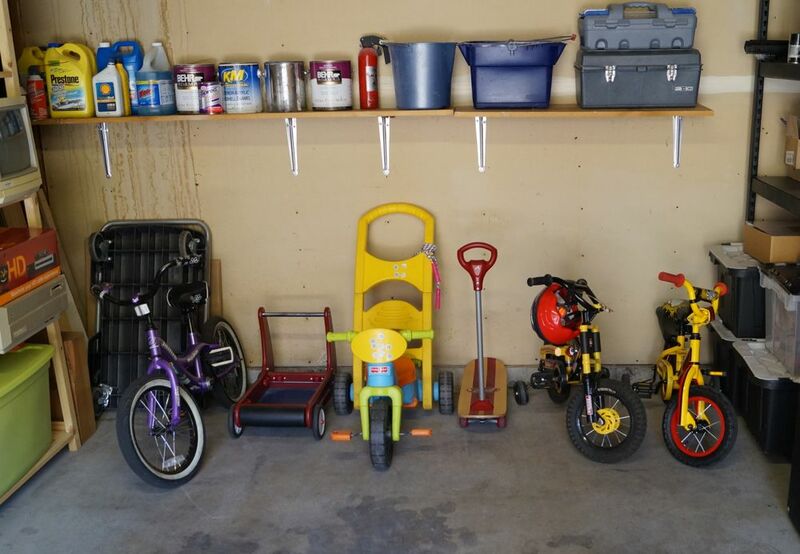 The items on the right side of the garage are organized by frequency of use based on what is on eye level and which items are in the front of the garage. We spent 6 hours total on the project and we hauled away 2 truck loads to Goodwill. I would estimate that it would have taken us twice the amount of time if I didn’t have an organizing assistant with me to help with all of the heavy lifting and assisting me in setting up the bins and labels. Another bonus for this project is that we spent $0 on supplies because were able to reuse all of the exisiting shelving and bins (we even had 2 bins left over). A six hour job – unbelievable. You did a great job Amanda! I'm not sure I'd do that for anyone else…it's such a lot of work. 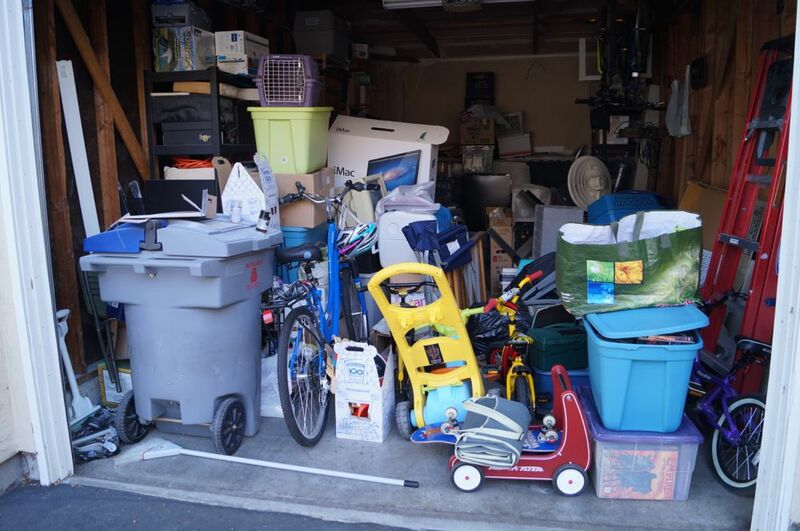 We have a 3 car garage and it's so full of stuff…not as bad as your clients, but I have to work hard at keeping my 1/3 of the garage cleaned up so I can drive my car in. My husband is totally unorganized and cannot keep his 2/3's tidy, so I just ignore it. It doesn't help when he has every tool a man can have! Stopping by from Inspiration Friday. away, give away, and pack our possessions. and your awesome ideas are appreciated! This garage looks amazing! Thanks for linking to the party. What an inspiration! Thanks for sharing the pictures, as well as your process. You truly have a gift, and you exude passion! Can't wait to have an opportunity to work on a project with you! 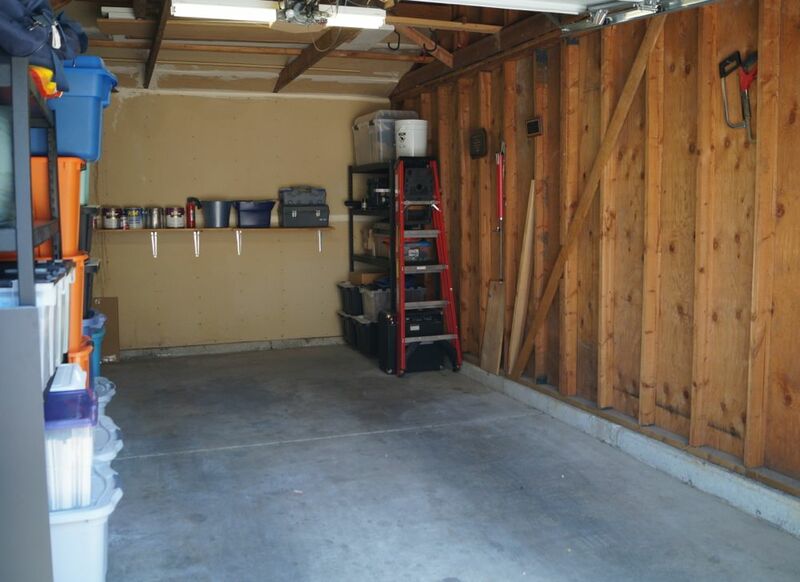 These photos definitely help motivate people to organize their garage! Thanks for sharing!